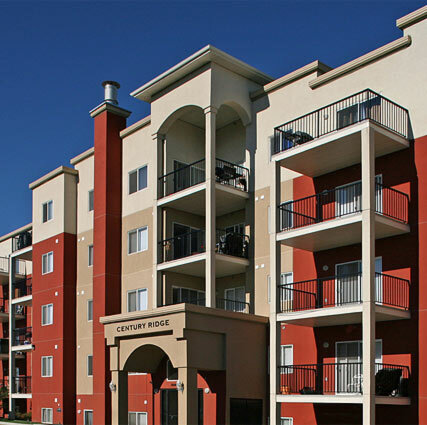 Since 1967 Ridge Development Corporation has enjoyed a successful track record of constructing multifamily homes. We confidently choose our locations and concentrate on areas that demand residential growth. RDC Corporate Office is located in Edmonton, Alberta, but over the years we have completed projects across Canada and the US. The specialty of Ridge Development Corporation is condominium apartment and hospitality structure construction, but we have vast experience in building other types of homes including single family, walk up apartments, townhouses, coach homes, commercial and industrial developments. Ridge is a locally owned and operated corporation and we believe in giving back to our community by using local contractors, businesses and materials. We strive to build lasting relationships providing in profitable ventures not only for the present but for the future as well. The specialty of Ridge Development Corporation is condominium apartment and hospitality structure construction but, we have successfully lent our name to just about every type of structure from single family homes to walk up apartments, to commercial and industrial developments. Ridge is a locally owned and operated corporation and we do believe in giving back to our community therefore, we use local contractors, businesses and materials. We strive to build lasting relationships which will result in profitable ventures not only for the present but for the future as well. To build quality designed and value added homes that exceed today’s high expectations of craftsmanship. Our dependable and dedicated team vows to provide service with integrity, professionalism and the highest level of standards every step of the way. With 150 years of combined experience between the 4 principals, we hold and continue to generate, lasting relationships in the community. We boast 100% pride and confidence in all of our projects. Ridge Development Corporation has the experience and track record in all aspects of development including sourcing of the opportunity, conception and implementation of the business plan, financing, construction, leasing and sales as well as management of the finished product.